The Malawi women’s national football team steps onto the turf of Wolfsohn Stadium in Port Elizabeth, South Africa, this morning with a mission to get the Cosafa Women’s Cup Championship campaign off to a flying start against the She- Zebras of Botswana. Kicking off the tournament with a Zebra braai would be a perfect way of boosting the She-Flames’ confidence for their matches against Madagascar and hosts South Africa, respectively. The wild animal is certainly a delicacy for those in love with bush meat and Coach Maggie Chombo-Sadiki would find it difficult to resist the temptation of leading her charges into roasting its choicest grade stake. The meeting against a less-fancied Botswana side appears to be a walkover on paper for the She-Flames but it could be a tough match on the ground as the Zebras have just been in camp for one week. 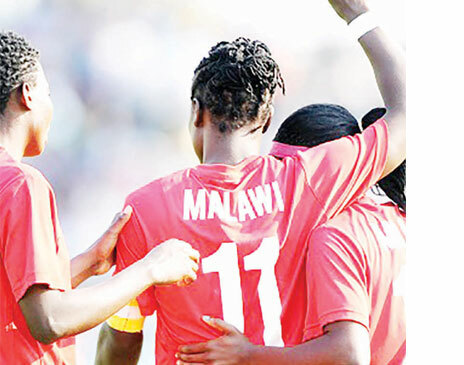 Since they started participating in the competition, Malawi have never gone past the group stage. Chombo-Sadiki has a squad that will miss the goal scoring services of influential Captain Tabitha Chawinga and Sweden-based duo of Sabin Thom and Temwa Chawinga after their clubs refused to release them on the grounds that the tournament falls outside the Fifa calendar. In the absence of the trio, the She-Flames mentor is banking her hopes on veteran striker Linda Kasenda and midfielder Bridget Mkuzilire. Madina Ngulube and Joy Bongowongo could also fill the void created by the three top stars. Options at the back include Maureen Phiri, Patricia Nyirenda, Ruth Nyirongo and Fatsireni Kazembe whereas Martha Banda or Mercy Sikelo will fight for a starting place in the lineup. Chombo-Sadik said her charges were going to the event to compete and not just participate. “Our aim is to go past the group stage and hopefully do better than last year. We have a good crop of players. I believe in them,’’ she said. Botswana have travelled to the tournament with a 20-member squad which includes Patricia Motigwa, Masego Nfandiso, Lesego Keleboge and Masego Montsho. The She-Zebras Coach, Gaoletlhoo Nkutlwisang, is also hoping for a perfect start against the She-Flames.